We achieved the highest client satisfaction ranking among all agencies evaluated in the 2017 Email Agency Buyer’s Guide produced by The Relevancy Group. BrightWave was also awarded Gold in Account Management, Educational Resources, Analytical Services & Technical Services and Silver in Strategy. 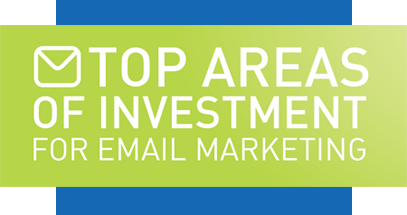 Think you know where companies are investing their email dollars? BrightWave’s got the data and the results may surprise you. 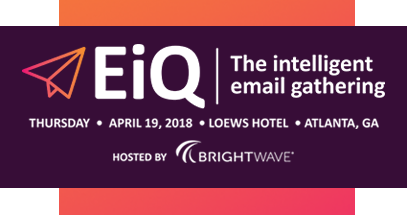 BrightWave hosted its 2nd annual EiQ and it was quite the success. It was packed with innovation, diversity, community and so much more. Take a look. The BrightWave team has been extremely flexible. 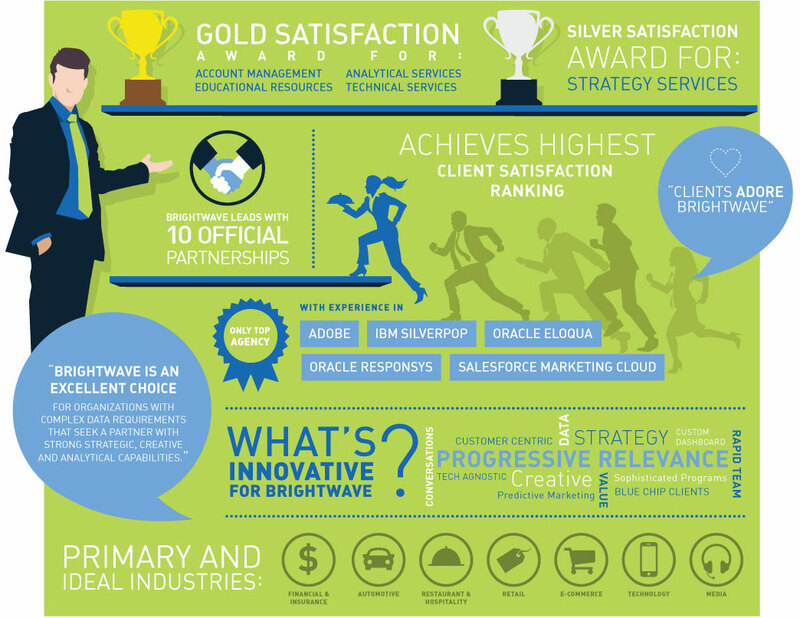 This is what makes BrightWave a critical partner. Our business changes quickly which causes sudden changes in direction that we must react to. BrightWave has done a great job of shifting resources to keep advancing the work.